5.1 General characteristics of isotherms. Subtropical areas tend to have less cloud cover than equatorial areas. 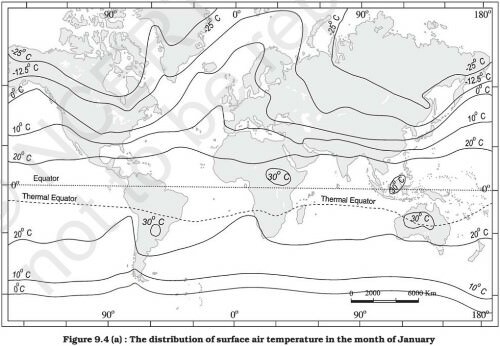 Subtropical areas have longer day hours in the summer than the equatorial. 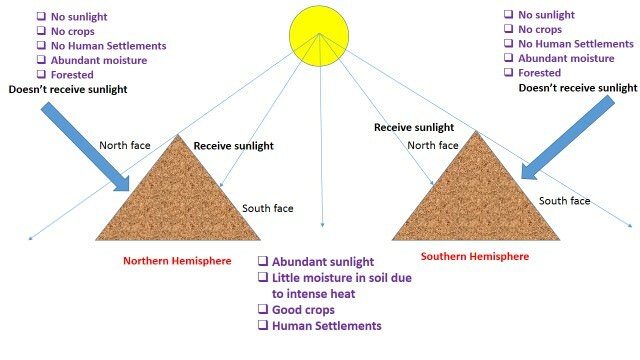 Subtropical areas have an enhanced “greenhouse effect” compared to equatorial areas. Subtropical areas are nearer to the oceanic areas than the equatorial locations. How does the unequal distribution of heat over the planet earth in space and time cause variations in weather and climate? 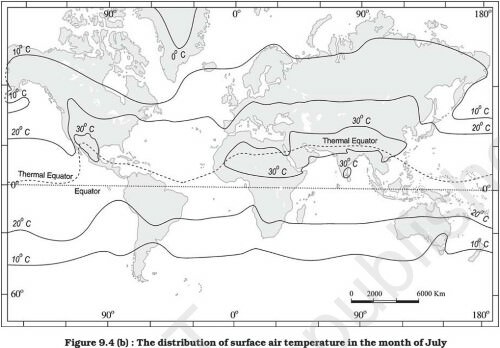 What are the factors that control temperature distribution on the surface of the earth? In India, why is the day temperature maximum in May and why not after the summer solstice? 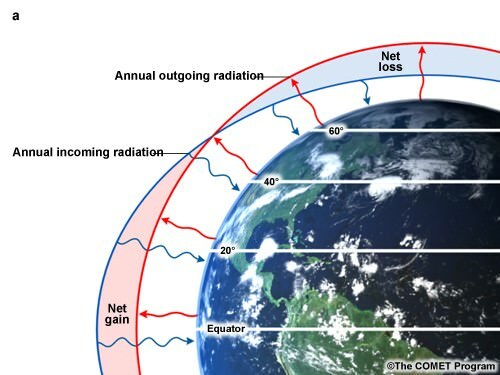 How do the latitude and the tilt in the axis of rotation of the earth affect the amount of radiation received at the earth’s surface? 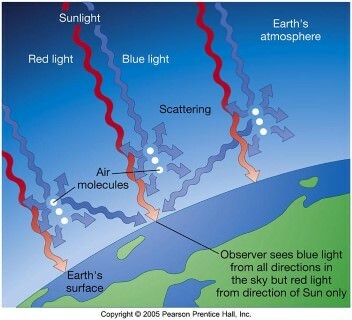 Discuss the processes through which the earth-atmosphere system maintains heat balance. Compare the global distribution of temperature in January over the northern and the southern hemisphere of the earth. Primary References: NCERT Geography, Certificate Physical and Human Geography [Amazon and Flipkart] and Spectrum’s Geography [Amazon and Flipkart].